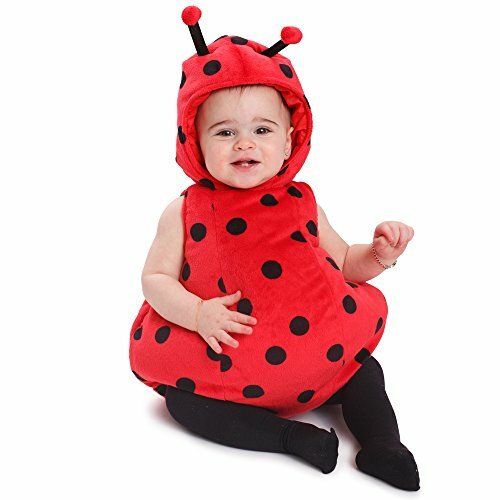 This Ladybug costume will easily fit on your baby's body, it is very cute! Your baby will feel comfortable and move freely anywhere. The combination of two beautiful colors black and red will attracts your baby's attention and your baby will want to wear this costume. which is why it's important to choose an outfit wisely. This Ladybug is available in three different sizes 0-6 Months, 12-24 Months, 6-12 Months. ► Soft fluffy and comfortable. ► Product comes complete with beautiful Bubble and Hood. ► Soft plush body suit has a zipper closure in the back.